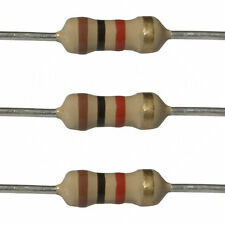 1k Ohm Resistor - Carbon Film - 10pcs - 1/4 Watt - 5% - 1K - Ships TODAY! 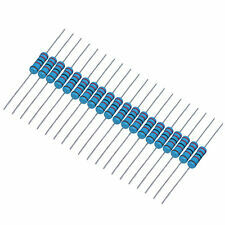 1.8k Ohm Resistor - Carbon Film - 10pcs - 1/4 Watt - 5% - 1K8 - Ships TODAY! 6 Lot Of Vintage Hamilton Carbon Composition Resistors 1K ohm 1 watt / N.O.S. This page was last updated: 24-Apr 02:15. Number of bids and bid amounts may be slightly out of date. See each listing for international shipping options and costs.